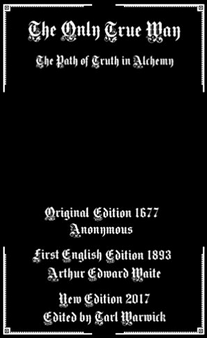 The Only True Way: Now Available! 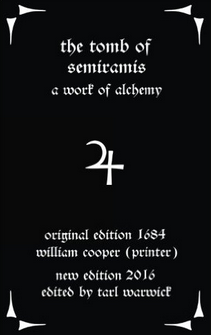 This very short tract is an excellent primer to alchemy; it’s actually more an explanation of the veils and hidden meanings of the terms used by other works than it is a process in its own right- the author is anonymous, but Waite dug it up and managed to translate it. Altogether, when paired with other longer, more literal works, it’s of far greater value than its general obscurity suggests. Author styxhexenhammer666Posted on June 13, 2017 August 3, 2017 Categories alchemy, biology, black raven, chemistry, elixir, green lion, philosophers stone, red dragon, sophism, sophists, sorcerers stone, sorceryLeave a comment on The Only True Way: Now Available! Author styxhexenhammer666Posted on June 10, 2017 August 3, 2017 Categories alchemical, alchemy, ascent, boehmer, descent, distillation, freher, frehers process, grand architect, grand design, philosophers stone, sorceryLeave a comment on Freher’s Process: Now Available! Six Keys of Eudoxus: Now Available! This alchemical manuscript is rather short, and alludes to Pontanus, Flamel, Hermes, and others, while proposing a six-step sort of system in which the philosophers’ stone is made and used for various purposes. It is vaguely a shortened adaptation of the Rosarium Philosophorum; making use of the general metaphor of the age- coagulating, fermenting, distilling, and other processes are overlapped with spiritual, often cosmic imagery. Author styxhexenhammer666Posted on December 1, 2016 August 3, 2017 Categories alchemical, alchemists, alchemy, elixir, eudoxus, flamel, hermes, philosophers stone, pontanus, rosarium philosophorum, six keys of eudoxusLeave a comment on Six Keys of Eudoxus: Now Available! Author styxhexenhammer666Posted on December 1, 2016 August 3, 2017 Categories 17th century, alchemical, alchemy, chemistry, elixir, great work, hollandus, philosophers stone, tomb of semiramis, villa nova, william cooperLeave a comment on The Tomb of Semiramis: Now Available! 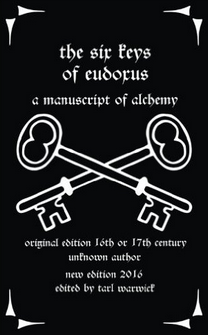 A Subtle Allegory Concerning the Secrets of Alchemy: Now Available! 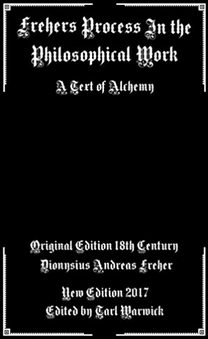 This tract of alchemy was written by the famous Michael Maier, a German alchemist of the 16th and 17th century. 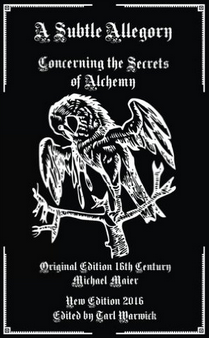 It is an interesting work particularly because the veil of metaphor used to describe the process of alchemy itself takes the form of a short story involving the search for the legendary Phoenix- indeed, the putrefaction and vaporizing processes of the alchemists do seem to overlap with this imagery fairly well. Maier is hopeful that the reader will compare this allegorical system to the general rudiments of alchemy which even the laypeople comprehended and will be able to discover for themselves the process. 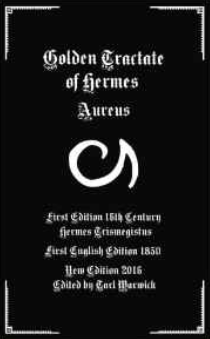 Author styxhexenhammer666Posted on October 9, 2016 August 3, 2017 Categories alchemy, alchemy books, aurora, elixir, how to do alchemy, ixir, michael maier, philosophers stone, phoenix, practica, universal medicineLeave a comment on A Subtle Allegory Concerning the Secrets of Alchemy: Now Available! Tract on the Tincture and Oil of Antimony: Now Available! This was a one-day editing work alongside some material I got done for Sickness in Hell and the Greater Key; a little work by Roger Bacon on processing antimony to make the infamous red oil of the philosophers, using also lead, in a way quite similar to the work of Hollandus on the topic of Saturn. The process here is quite literal so those who desire more how-to and less metaphoric alchemical lore will probably appreciate this specific tract. The medical applications of the final result of this work are considered here to be quite prolific- ranging from treating gout to preventing or stopping mania and fever. 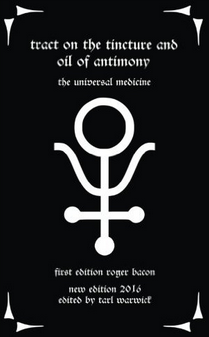 Author styxhexenhammer666Posted on August 24, 2016 August 3, 2017 Categories alchemist, alchemy, antimony alchemy, antimony oil, aqua regia, lead as medicine, medicine, mysticism, occult, oil of antimony, philosophers stone, quack medicine, renaissance, roger baconLeave a comment on Tract on the Tincture and Oil of Antimony: Now Available!